These words speak to what sets TITAS/DANCE UNBOUND apart: Surprising, Captivating, International. Dance is such a special art form. Athletic, luminous and inspiring. 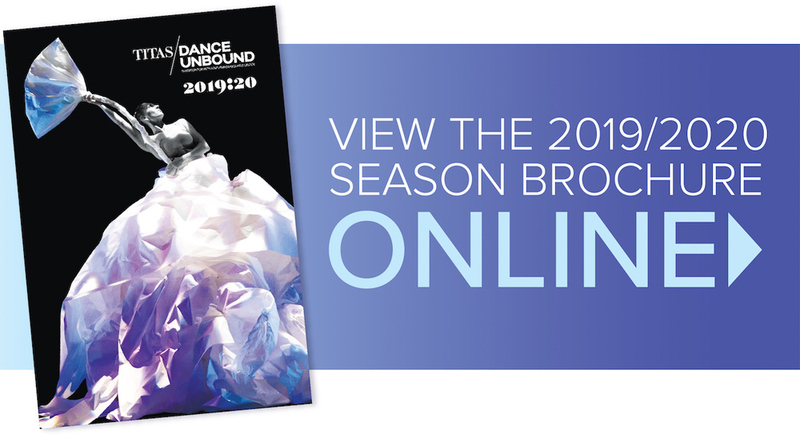 For more than 36 years, TITAS/DANCE UNBOUND has presented the coolest, the most innovative, the most remarkable dance artists touring the world today, hence our new name, TITAS/DANCE UNBOUND. A name that is more descriptive of who we are and what we do. The 2019:20 season won’t disappoint. Creative, theatrical, gymnastic and breathtaking imagery makes this a very special set of international companies. Funny, stunning, inspiring and exciting, we proudly present a season of ten extraordinary companies from the United States, Canada, France, vMexico, South Korea and China. Three of these companies are making their Texas debuts in Dallas with TITAS/DANCE UNBOUND.